I have a licensed Goalscape Desktop. It was working nicely for the last few years. Now, I am unable to open the files, I get a message Revocation information for the security certificate for this site is not available. Do you want to proceed? When I manage to open the files I am unable to save them. I have the latest Adobe Flash Player. Sorry you have been having trouble – thanks for reporting this error here: I have already escalated it to the development team. 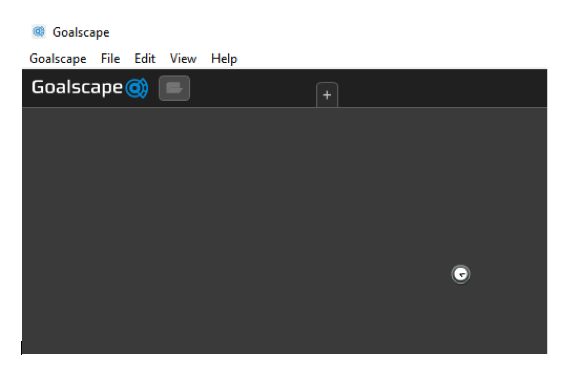 Nearly all issues with Goalscape Desktop are due to a problem with the local Adobe AIR environment. So please first try the 'uninstall and reinstall Goalscape Desktop and AIR' fix: full step-by-step instructions for doing this are on our Known Issues page. Thanks very much for the screenshot of that error message. We have not encountered this before, so if you see it again (after doing the above fix) please click the 'View Certificate' button and C&P the text (or post a screenshot) here. If you still cannot Save your files please include screenshots to illustrate what happens when you try to use File > Save (or Ctrl+ S) or File > Save As. Be assured we will do all we can to fix this for you as quickly as possible. Uninstalled and reinstalled Goalscape. No luck. The save buttons are greyed out. On trying to open a file I get the screen with a timer. Thanks very much for the update. Please could you confirm whether you also uninstalled and reinstalled Adobe AIR as well as Goalscape Desktop (the AIR uninstall/reinstall is the really important part of that fix). Please could you also confirm the make and model of your computer. Thanks for the confirmation. Can you let us know the make and model of your computer? We are still working on a fix for this error and we will post here with any news. Please could you try to Save a Goalscape project into a different area of your hard drive (as a test you can even create a new directory just for your Goalscape projects). on top of what Richard suggested above to try resolving your problem.. I'd like to focus more on the Security Alert which occurs when you run Goalscape Desktop. Is it something that was not showing before and now it occurs every time you try to run Goalscape Desktop app? How do you proceed with that dialog? The reason I'm asking is that this might be the source of the problem when Goalscape Desktop tries to validate your license on our server at some point which now probably triggers that Security Alert in your OS for some reason. And since that fails it can possible turn GSD app into read-only mode which disables Save of any project. But we could be more sure about this if we could have a look at the logs that Goalscape Desktop can store on your machine in Debug Mode. So could you please turn on the Debug Mode via the main Goalscape menu and then try to restart the app? Doing this will instruct the app to log some detailed information about the startup and validation process and help us investigate what's going wrong. Then please package all the .txt log files in the logging directory and send them to us for further investigation.